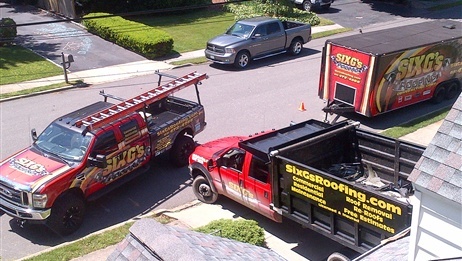 Six G's Roofing is a full service commercial, residential, and flat roof repair and maintenance contracting corporation located in Long Island, New York. 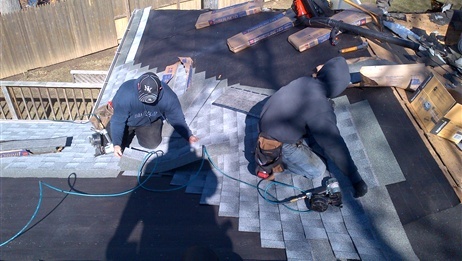 Servicing all of Suffolk County and Nassau County, we specialize in all types of commercial and residential roofs, offering the largest selection of roofing services for your community. 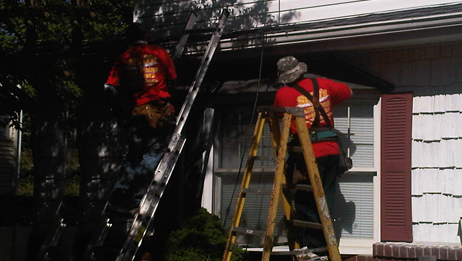 Our work includes repairs in residential and commercial roofing, as well as roof removals, re-roofs and reinstallations. Offering 24 Hour Emergency Service, we utilize flat rate pricing so you know exactly what the repair will cost before we start the work. Our dispatch team will send one of our well trained roofing professionals to solve the problem for you on the day in which you call. With a preventive maintenance agreement, our customers receive priority response within two hours. 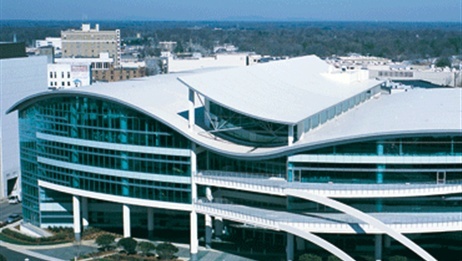 Our commercial roofing division is trained and experienced in every aspect of roof construction, from re-roofing to new construction, with special attention to ensure your roof investment meets it's life expectancy. The roof you choose for your home not only gives you peace of mind from the outside elements, but is also an architectural statement that is part of your home's overall beauty and appearance. 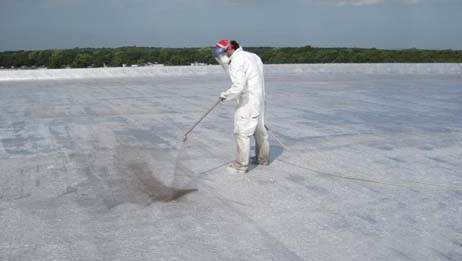 Preventative maintenance for your roof is something that everyone should think about. You can't protect a roof from the elements, but you can make sure it's in tip-top shape year-round.